Maura Healey takes over for Massachusetts Attorney General Martha Coakley on Wednesday, marking the end an eight-year tenure that involved two failed bids for higher office. Attorney General Martha Coakley is set to leave office following November’s loss to Republican Charlie Baker in the governor’s race. In a battle decided by less than two points, the Democrat conceded the morning after Election Day. Coakley’s work ethic on the campaign trail was questioned following her shocking 2010 loss to Republican Scott Brown in a special election after the death of Senator Ted Kennedy. The Democrat had held the post for nearly a half century. Coakley consistently fielded and answered questions about that defeat throughout her bid for governor, which included an early stop in her native Berkshire County in September 2013. Coakley shrugged off the results of the Massachusetts Democratic Convention in June 2014 when the party endorsed then-Treasurer Steve Grossman, despite Coakley’s lead in the polls. She went on to win September’s primary, but fellow Democrat Congressman Richard Neal suggested the primary campaign damaged Coakley’s general election chances. Tim Vercellotti is director of the Western New England University Polling Institute and professor of political science. He says state Democrats got to work during the election, despite not being energized by Coakley. “The fact that Martha Coakley only lost by a very slim margin, a little under two percentage points, says a lot about the Democratic committee and its ability to turn out the voter for a nominee whom the party apparatus was not all the excited about,” said Vercellotti. In a debate during the governor’s race, Coakley said if she were to lose, it would be her last bid for elected office. Now-Governor Baker said the same thing. Coakley is set to join Harvard University’s Institute of Politics as a resident fellow. She will also serve as chief legal analyst for Boston-based WCVB. Meanwhile, a former assistant attorney general under Coakley is taking over as the state’s top law enforcement officer. Democrat Maura Healey is the first openly gay attorney general to be elected in the U.S. Largely a political outsider, Healey has said she got into the race knowing the Beacon Hill establishment was not going to back her, believing she can bring independence to public corruption. 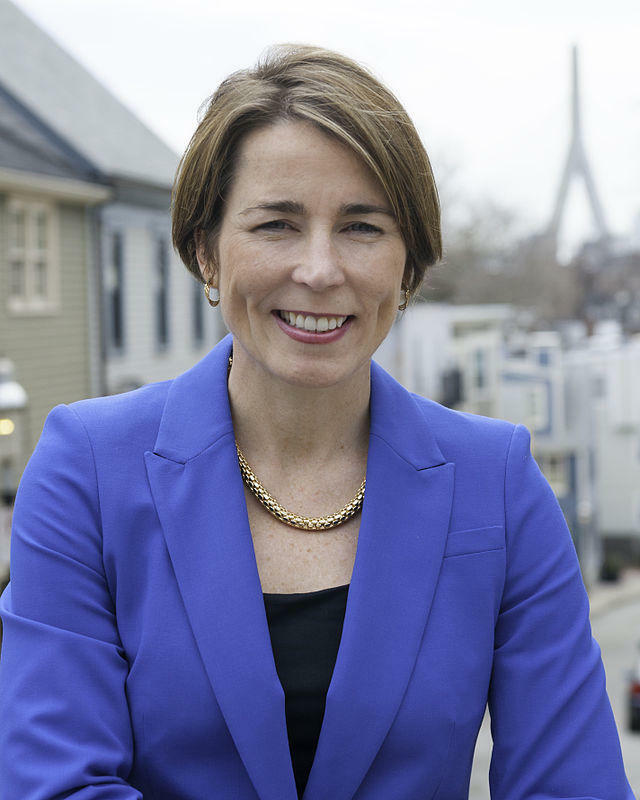 Maura Healey is set to take office as Massachusetts Attorney General Wednesday. The Massachusetts Department of Children and Families came under fire last year following the deaths of three children under the agency’s supervision. Child welfare advocates even sued the agency. While the Attorney General’s office is responsible for legally defending the state, Healey says she wants to get out in front of issues. “One of the reasons I want to create a child and youth protection division is because I want to make sure that we’re doing all that we can within the attorney general’s office to insure delivery and care to children and families in the state,” said Healey. Healey also says her office is going to address the opioid epidemic. “I’ve said for a long time that I would be prepared to use attorney general settlement funds, when we go sue companies, I’d be willing to hold onto some of that and use that to fund programs and services specifically for heroin and drug abuse,” said Healey. Outgoing Massachusetts Attorney General Martha Coakley will be among five resident fellows at Harvard University's Institute of Politics in the spring. Republican Charlie Baker will be the next governor of Massachusetts. He beat Democratic Attorney General Martha Coakley. It was a close race down to the end. Today’s neck-and-neck election for governor of Massachusetts marks a new political era for the Bay State: Governor Deval Patrick is not on the ballot. But he is invested in the outcome. The Democrat, who is not seeking a third term, has been a vocal supporter of Attorney General Martha Coakley, who faces Republican Charlie Baker in today’s race. Patrick spoke this afternoon with WAMC’s Alan Chartock. It’s the final hours of campaigning in Massachusetts, where polls show Republican Charlie Baker with a slight lead over Democrat Martha Coakley, the state attorney general, in the race for governor. Incumbent Deval Patrick is not seeking a third term. Both candidates are seeking a political comeback after high-profile defeats four years ago. Earlier today, WAMC’s Ian Pickus spoke with both candidates. The two major party candidates for governor of Massachusetts, locked in a dead heat with just less than two weeks until Election Day, met for their first face-to-face broadcast debate last night. Democratic Attorney General Martha Coakley and Republican businessman Charlie Baker clashed over taxes and a mandate for earned sick time while defending their records on issues that have been the focus of campaign ads paid for by super PACs.